LYN: Hi! I'm Lyn. 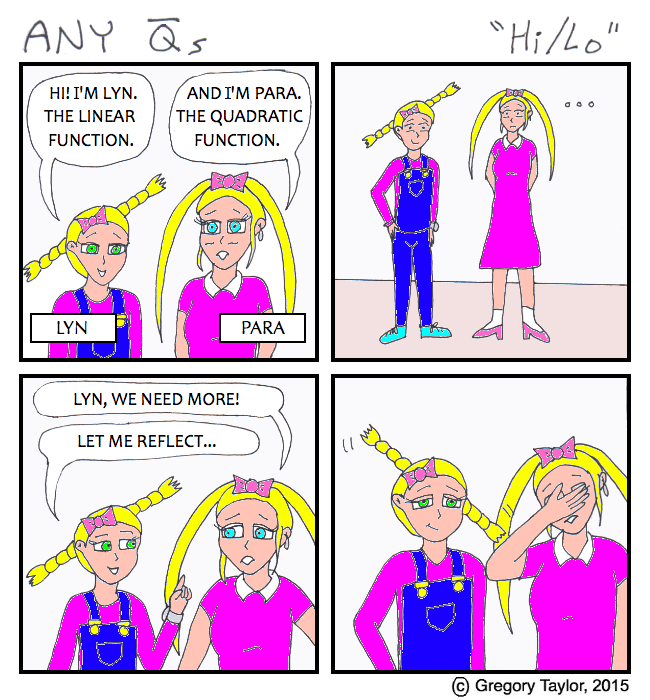 The linear function. PARA: And I'm Para. The quadratic function. PARA: Lyn, we need more!